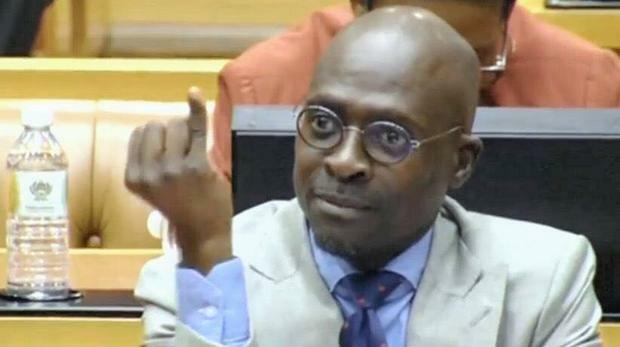 Malusi Gigaba apologises for waving pinky finger at EFF’s Ndlozi. Gigaba came under fire on Tuesday after he was captured waving his pinky finger at Ndlozi after the latter suggested that ministers utilise camera-less cellphones and avoid recording themselves, referring to Gigaba’s leaked s.e.x tape. Home Affairs Minister Malusi Gigaba on Wednesday apologised “unreservedly” for a gesture he made towards EFF MP Mbuyiseni Ndlozi in the National Assembly during a question and answer session by President Cyril Ramaphosa. 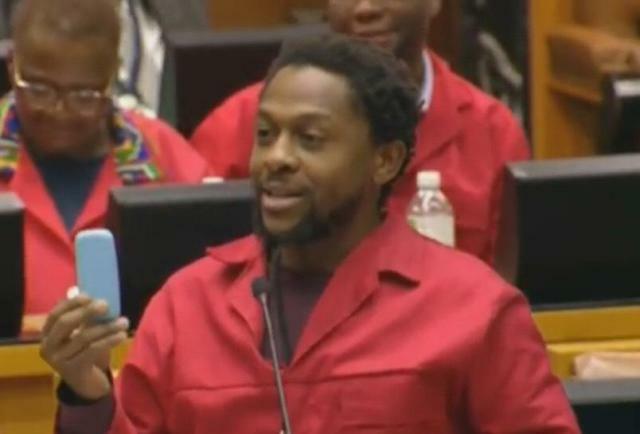 Ndlozi showed the house a burner phone during the question and answer session and suggested to Ramaphosa that he advise members of his Cabinet to not use camera phones and use burner phones as they cannot be hacked. The minister has since taken to Twitter to apologise for his gesture, which he said was provoked by “petty taunts”.”I apologise, unreservedly, for this gesture. Users however, remained unconvinced by his apology, calling on the embattled leader to resign as he was an “ongoing embarrassment”.